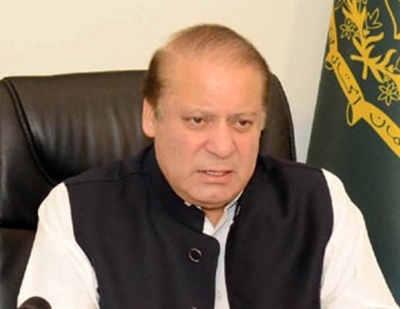 Lahore, Aug 11 (IANS) Ousted Pakistan Prime Minister Nawaz Sharif on Friday told thousands of his cheering supporters that he had not filed an appeal in the apex court against his ouster, but has placed his case before the people to decide. The PML-N leader was headed to Lahore as part of his ‘homecoming’ trip via the ancient Grand Trunk Road. With thousands of party supporters and admirers milling along the route, Sharif continued with his defiant procession down the GT Road, inching closer to his stronghold of Lahore in a bid to rally supporters. “I am back in the court of the people,” Sharif told a crowd of loyalists in Gujrat. “I have filed no appeal in the courts, my only appeal is in your court,” he said. “Why was I unseated? Someone tell me how I committed corruption. There is not a single stain of corruption on me,” he claimed. “This is the respect given to your vote. Your vote has not been respected at all,” he said, in a direct appeal to their sympathy. Sharif, also nicknamed the ‘Lion of Punjab’, addressed the crowd from a makeshift stage behind a bulletproof glass, his voice sounding tired with the long journey, but bold as he insisted he was “innocent”. Thousands also lined the road to catch a glimpse of the former leader as his convoy rolled down the 2,000-year old trade route which leads from Chittagong in Bangladesh across India and Pakistan to the Afghan capital Kabul. Sharif is travelling in a bomb-proof vehicle especially designed for the journey, meant as a show of strength after the Supreme Court´s decision left his ruling party scrambling to replace him. The convoy was surrounded by heavy security, amid fears after a truck bomb exploded in Lahore on Monday, killing one person and injuring dozens. It was still unsure if the caravan will reach its destination on Friday night as Sharif is set to address a few public rallies, including in Gujrat and Gujranwala. The rally is scheduled to travel through Sarai Alamgir, Kharian, Lala Musa, Gujrat, Wazirabad, Gujranwala, Kamoki, Muridke, Kala Shah Kaku, Ferozewala before it ends in Lahore.